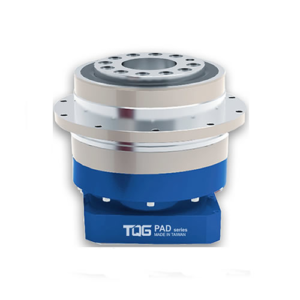 Solid construction and compact frame of rotating table effectively save the mounting space. 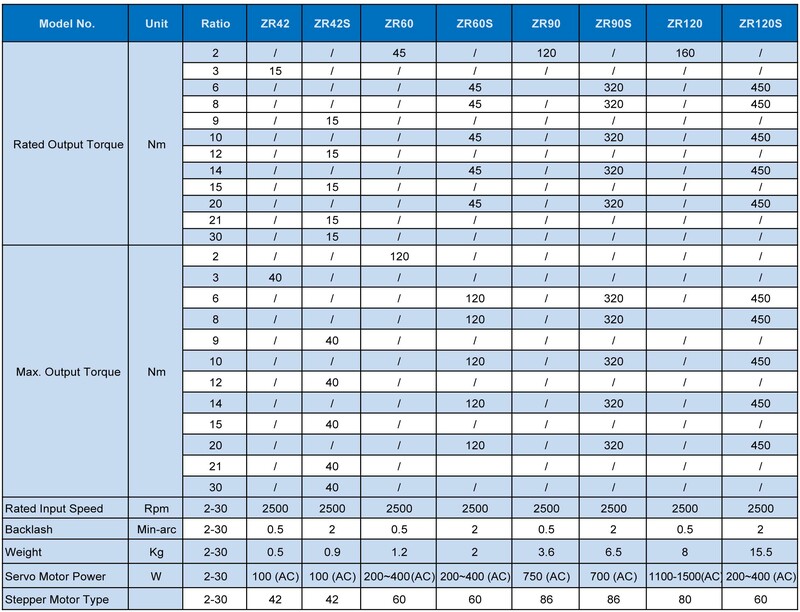 Flange size and spindle size of Motor are needed when order. 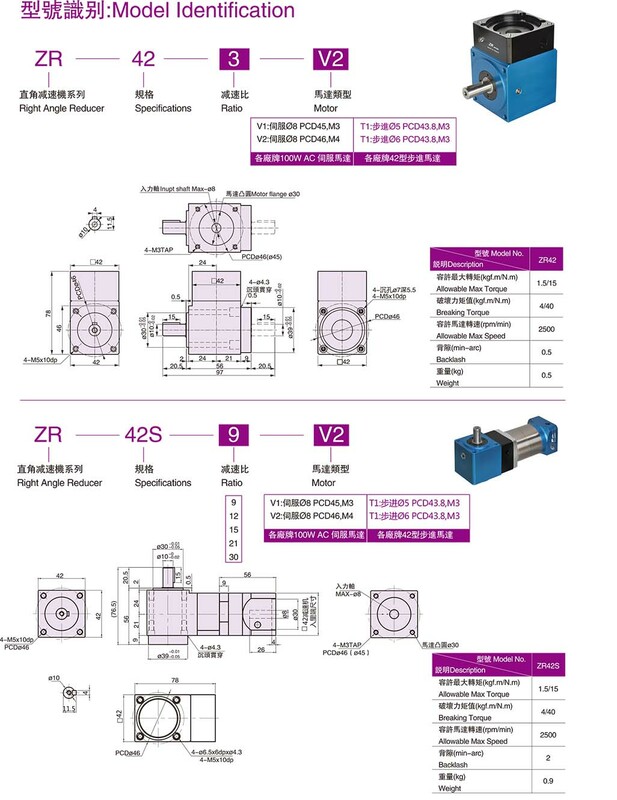 ZR Series right angle planetary speed reducer is small in size, light in weight, high in load capacity, long in service life, stable in operation, and low in noise. 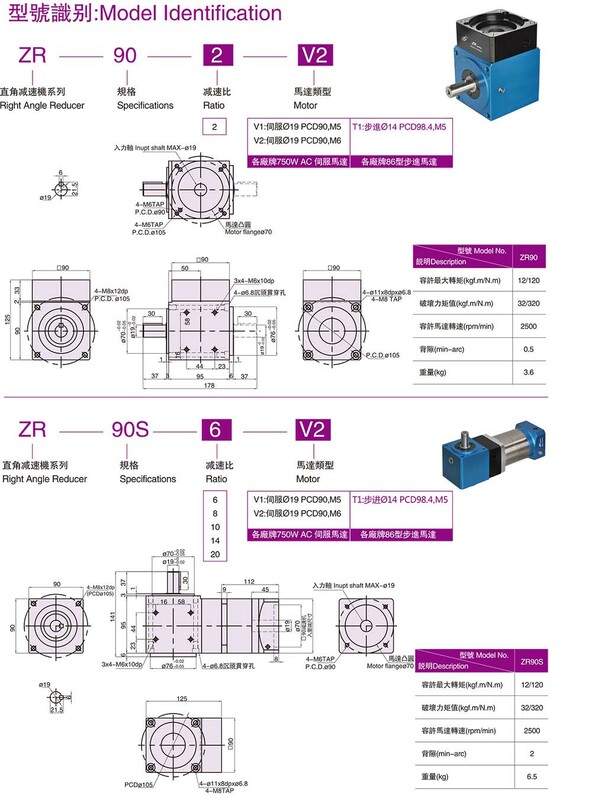 The special construction of 90 degree angle makes ZR planetary gearbox easier to connect to your equipment directly and save space meantime . 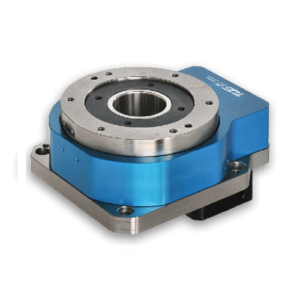 This series planetary reducer is suitable for servo motors and stepper motors like brands of Panasonic, Yaskawa, Delta, Fujitsu, Mitsubishi, Sanyo, Siemens, Schneider, Fanuc, Kobe, AMK, Parker, etc. 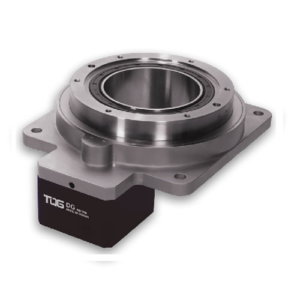 TQG right angle gear reducer ZR series are processed by advanced six-axis precision machineswhich allows for one-piece machining in one setup to ensure the best geometric accuracy. 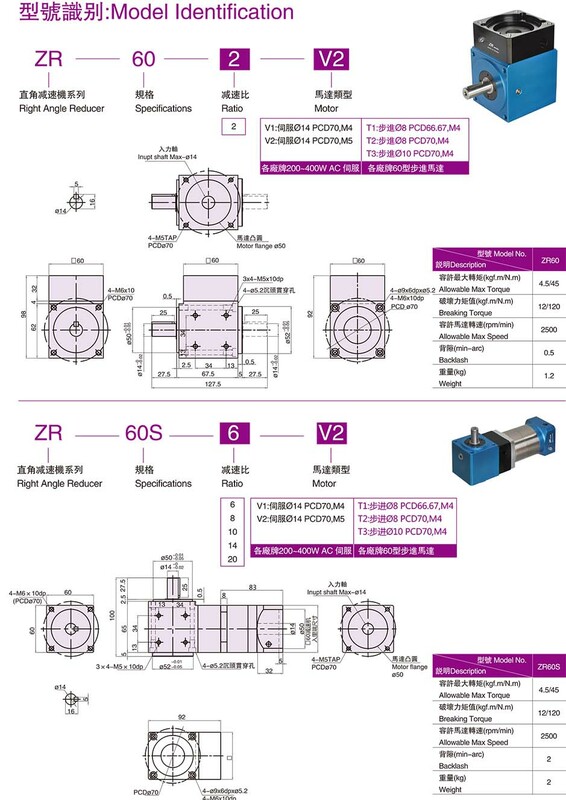 Transmission gearsof ZR speed reducer have been carefully developed to achieve reducer operation with low backlash and high precision. 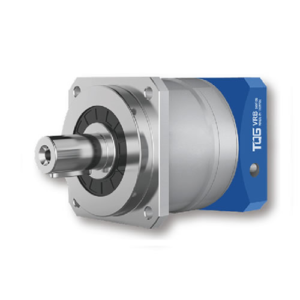 ZR Series planetary reducers are with features of precision transmission, low noise, stability and smoothness, which contribute to accurate transmission and high rigidity. 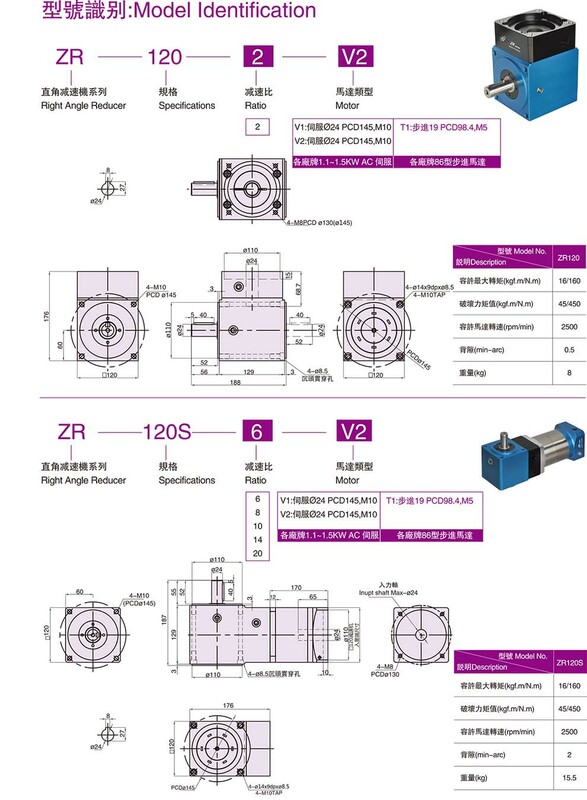 ZR speed reducer features of solid bodyand small in volume to save the installation space. 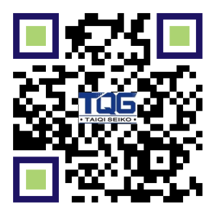 Although TQG ZR gearbox is small in size and light in weight, it is featured of high torqueoutput capacity and low backlash. 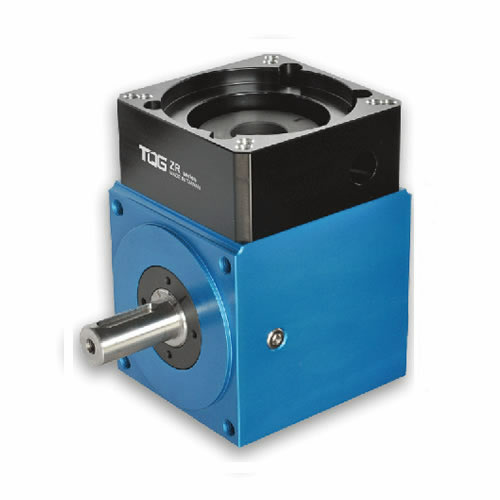 ZR series compact gearboxes are widely used in cutting equipment, ink jet printers, robots, packaging machinery, light industry and textiles, medical equipment, instrumentation, automobiles, ships, weapons and aerospace and other industrial fields that need servo application.